The Swiss miniature motor specialist maxon motor has developed a 4mm-diameter brushless motor incorporating a gearhead which, it says, produces maximum power in the smallest possible space and can deliver power from a standstill – claimed to be unique for a motor of this size. A common problem with microdrives is that the power output available is too low for an application, due to their tiny size. 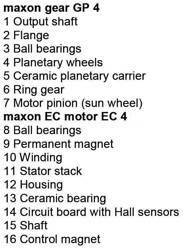 maxon says it has boosted the output of the new EC4 motor by using the latest winding technologies and powerful magnets, and by making optimum use of the air gap. Integrated encoders allow full use of the motor’s potential to be made, even from a standstill. 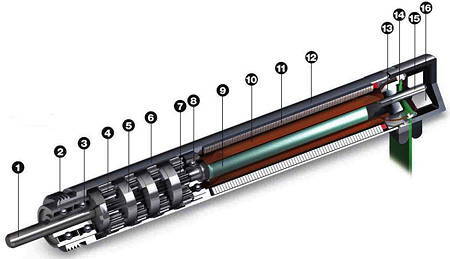 The motor incorporates a planetary gearhead to ensure optimum continuous running. The gearhead carrier uses high-performance ceramics to allow the motor to achieve high input speeds and drive torques. The gearhead is available in various reduction ratios, and there is a choice of windings and encoders as well. The motor’s speed/torque gradient is 50,000 rpm mN/m, with a continuous torque of 0.4mNm. It is available in a long version with a nominal power rating of 1W, or a shorter version with a 0.5W rating. maxon expects the motors to be used for applications such as micropumps, analytic and diagnostic devices, surgical devices, laboratory robots, and endoscopes.